Haiti is rapidly becoming a hotspot for tech and entrepreneurship and as such- women are making huge headways in the tech movement. Last year, Haiti Tech Summit announced the first official Women of Influence List – highlighting the nations leading pioneering women in business, media and technology. This year, we are highlighting the top women’s entrepreneurship and tech initiatives and events in the hopes that more women can join the movement in moving Haiti forward. Fanm NètAlkole recently launched as a platform to promote the development of women in Haiti. The initiative was founded by Fabiola Coupet, Lorraine Hudicourt and Nathalie Marc-Charles Arias. The announcement has received huge support from the Haitian community and was recently featured in Le Nouveliste. They are scheduled to host the Boss Lady Haiti#powertalk on Thursday March 28th @6pmCafe36 RVP here www.facebook.com/cafe36haiti/. WITEP is hosting the largest tour of entrepeneurial bootcamps for women in Haiti. The tour dates are March 7-April 13th where a 3 day bootcamp will be hosted in each of Haiti’s 10 major regions. En partenariat avec l’Ambassade des Etats-Unis en Haïti, les boursiers du programme Young Leaders of the Americas Initiative* Altagrâce Michèle Maignan, Marie Flore Morett et Miguelito Jérôme lancent un accélérateur d’entreprises axé sur l’innovation et la technologie, destiné au renforcement des capacités des femmes entrepreneures des 10 départements d’Haïti. Ce programme intensif accueillera 20 femmes par départements en laboratoire entrepreneurial. Sign up here: http://www.witep.org/. Daniella Jacques President of the CCFEH Women’s Chamber of Commerce and host of the SIFNUH International Women’s Tech Summit. Ccfeh, the largest network of business and professional women in the country. The #Ccfeh a young institution that makes the difference March 11, 2016-March 11, 2019 the largest network of women entrepreneurs and professionals. Since launch they hosted 2 Sifnuh (2017 & 2018) 2 Fefha (2017 & 2018), 7 Biznight, a hundred trainings, 2 business missions – wew (2017) & 2018), more than three hundred (300) members. Last year, the founder of Haiti Tech Summit- Christine Souffrant Ntim- hosted Haiti’s first annual Women Pioneers Summit. The program was to support and teach women in business, government and startups on how to build and monetize their personal brands. It was a full multi day series of free workshops – sharing tools for success in business and leadership. At the time, Christine was pregnant with her second daughter and hosted the session to empower more mothers to jump into tech and entrepreneurship. Sign up for the next session by joining the newsletter at www.haititechsummit.com. March 6, 2019 [Port au Prince, Haiti] Haiti Tech Summit is pleased to announce Haiti’s First Official Startup Ecosystem Map. With a mission to turn Haiti into an international tech hub by 2030, the platform aims to give annual updates on the progress of Haiti’s ecosystem via this visual map. 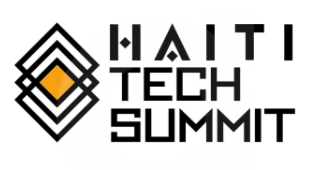 Deemed the “Davos of the Caribbean” Haiti Tech Summit brings together hundreds of entrepreneurs, investors, pioneers, and creatives under one roof to address humanity’s greatest challenges via technology. With previous headliners such as Jack Dorsey (Founder of Twitter), Ben Horowitz (Investor Twitter, Facebook), Tim Draper (Investor in Skype, Hotmail etc), the President of Haiti Jovenel Moise, Vicky Jeudy from Netflix Orange is the New Black, and VP+CEOs from Google, Facebook, Airbnb, Uber and more- the summit will be announcing 100 major speakers for the next edition on June 20-22, 2019. Congratulations to the 2018 ecosystem influencers who are advancing Haiti’s future via technology! Submissions are being accepted to be featured in the 2nd annual Haiti Startup Ecosystem Map. February 18, 2019 [Port au Prince, Haiti] In an effort to showcase a more balance view of Haiti, its people and global community, Haiti Tech Summit launched the #ChangeTheNarrative initiative. The platform provides an open opportunity for influencers within the Haitian community to publish interviews, stories and diverse reporting. In a country that focuses predominately on economic and political news, the initiative hopes to surface content on fashion, culture, tech, business and sports news. The team also acknowledges media influencers such as Bibi, Carel Padre, Johnson Napoleon, and platforms such as the Haitian Times, L’ Union Suite, Haitian Businesses, Loop Haiti, etc that have provided modern content on Haiti. With over 123 million social media views and global community of 19,000 members- the initiative will likely find the next big media mogul in Haitian news. We are pleased to announce that Tessa Jacques is the winner popular vote within the global Haitian Community. To have become one of the youngest director general in public administration in Haiti. As a woman from the private sector and a new mother this was a huge challenge for me. And to have had gone through all these changes at the same time and been able to accomplish great things for my country, this is by far my greatest achievement. 2. What advice you have for other women? Believe in yourself, in your ability to be all that you want to be. This is generally my advice to all not just women. But it is more important for women to understand that there are no boundaries besides the ones we impose ourselves. Don’t be afraid to make sacrifices for what you believe in. Nothing that is rewarding comes easy. So fight and triumph! This world needs more QUEENS! 3. How do you leverage your influence to change the narrative on Haiti? The existing narrative on Haiti isn’t all lies, we are a poor country that has suffered multiple plagues. However our story, our identity doesn’t limit itself to that. We are strong, resilient people. Our country is filled with opportunities that are just awaiting to be crafted and developed. So for me it’s about opening people’s eyes to the unknown side of Haiti. See the potential that lies within our land. I invite everyone to come and see and experience Haiti for themselves, not just take my word for it. I also encourage Haitians to love their country and stop destroying it. Haiti is rapidly earning itself as a prime hot spot for entrepreneurial activity. With 11 million citizens and a global diaspora network of 30 million Haitian internationals- the influence of Haitian entrepreneurs on the global economy is spreading. Nominate someone here.